Designed and printed in UK. Looking to add a bit of personality to your look? Make a statement while maintaining a laid-back cool look with this “Cleverly Disguised As A Responsible Adult” T-shirt. 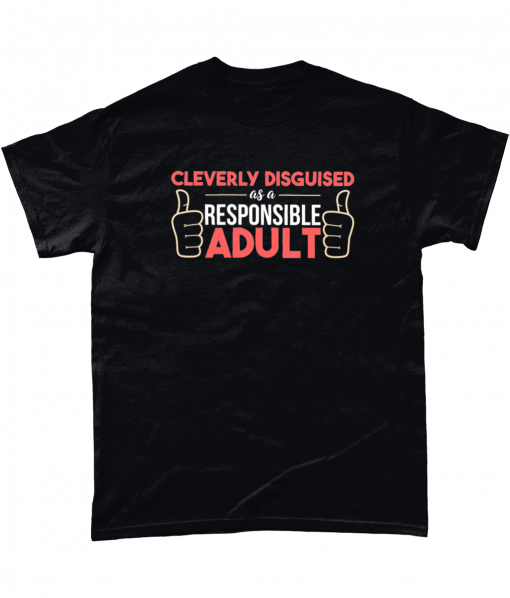 Perfect for any time of the year and packed with personality, this Responsible Adult shirt features a clever message and artistic design. Very funny – perfect for my husband!